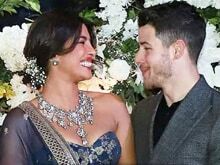 After music composer AR Rahman got trolled for singing Tamil songs at a concert in London, Priyanka Chopra spoke in his support in Mumbai on Friday. Answering the question about the walkout, she said, "It's rude." Priyanka Chopra held a press conference with the cast and crew of a the Marathi film, which she is producing, it's titled Kay Re Rascala. AR Rahman is currently in New York, he performed at IIFA Rocks on Friday night.